All Things Fabulous: Food for beauty..? As I have said before, maintaining your looks is not all about lotions and potions . . eating healthy nutritious food really does an amazing difference . . although I also love using certain foods as beauty producs as well! You will find lots of inforation on the internet, the sky's the limit. . so I'm only naming some to give you an idea..
Let's start with something very basic . . lemon. Start your day with a cup of hot water and juce of half a lemon or so to kick start your metabolism and cleanse. To further rev up your metabolism, add a pinch of ground cinnamon and a pinch of ground ginger. Don't forget girls, that lemon is high in vitamin C content, which is used in the formation of collagen, which is essential for hair growth ! The vitamin also enables the body to absorb iron more efficiently, which is responsable for getting oxygen to the tissues of the body . . without it, your hair won't grow . . . start munching more on foods with vitamin C !!! Garlic . . really what can it do fo you . . .with it's antifungal properties, you can treat athlete's foot! If you want to avoid chemical-filled creams and treat it naturally, try crushing garlic into olive oil and use the mixture on infected areas. . interesting, right? 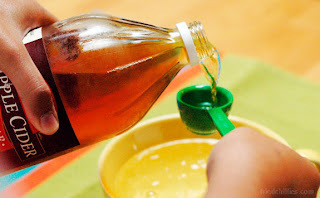 Did you know that mixing to tablespoons of cider vinegar with honey and warm water help calm irritated complections? Who would have known cider vinegar helps for a blemish-free face? Now, Apple cider vinegar (the one with the mother pulp) mixed with water ''detoxes'' the hair from all the harmful and clogging stuff we apply to it . . Curious to try it out? Now this leafy vegetable is not at all known in Malta . . .Kale ; it's low in calories and fat, high in vitamins A,C and K , and full of antioxidants..why not try it out? Out of all the green leafy vegetables, kale is the most nutritionally dense, making it really good for you hair, skin and nails!! 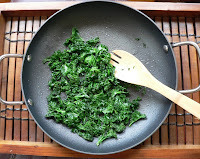 Click here for an easy recipe including kale! Green tea . . 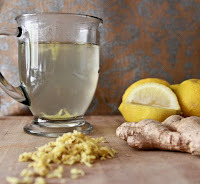 I'm sure you've heard it all before . . it's full of antioxidants, it increases the metabolism, helps regualte glucose levels, helps against the formation of blood clots and reduces cholesterol . . the list would go on and on . . .so start sipping more green tea . .plus you can always put cooled-down tea bags on your eyes to reduce puffiness - SUPER! I really want to know more, so please let me know more!! Denise :D ! I'm sure Martina must've told you [I'm Reb] that I absolutely loved this post ! I've actually started drinking green tea myself ! It's very bitter, but its health properties make it worth it. Also, about garlic. 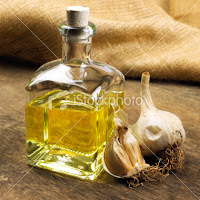 If you swallow the garlic whole, it will prevent you for the most part from getting ill ! 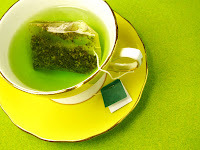 Yes, green tea doesn't exactly taste good .. why not try adding half a tea spoon of agage syrup? It can be bought from health shops and it's a healthy substitute for sugar! Also, try having organic caffeine-free green tea if possible! Didn't know that about garlic!! Did you ever try it??? hey loved your blog, will definitely be applying these tips! do you know where i can buy kale from in malta?